Koizumi is a mysterious and attractive high school student. But what most people don't know about her is that she's a ramen master who is always on the lookout for great ramen restaurants. Everyday, she goes hunting for real-life places serving the best ramen dishes and delightfully eats the delicious noodles. 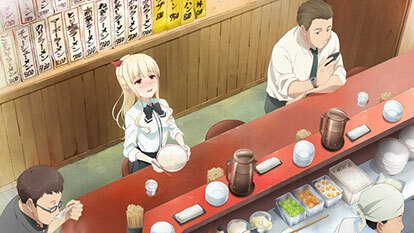 The way Koizumi downs a giant bowl of ramen–more adeptly than any large man will amaze and delight you!